Alan Dary began his broadcast career at WSUN, St. Petersburg, FL on his return from serving in World War II. After three years he moved back to his home state of Connecticut to work at WBRY, Waterbury. He came to WROL, Boston in 1950, where he hosted the Dary-Go-Round where he made audience participation a regular thing. 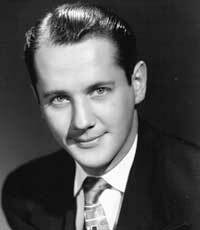 In 1956, he moved to WBZ where he also hosted Boston Movie Time on WBZ-TV4 in the late afternoon. In 1961, Alan returned to WORL, and in 1963 to WHDH Radio. It was at WHDH that he created the Mailbag Show on Sunday mornings. Connecticut native Alan Dary began his broadcast career at radio station WSUN, St. Petersburg, FL on his return from serving in World War II. After three years he moved back to Connecticut to work at WBRY, Waterbury. It was in these two positions that he honed his announcing style as the sincere, down-to-earth “guy next door.” He came to WROL, Boston in 1950, where he hosted the Dary-Go-Round were he made audience participation a regular thing, often bringing listeners in as “guest DJ’s” or just to join him in studio for a cup of coffee. In addition to being a DJ, he was named Program Director in 1955. In 1956, he moved to WBZ doing a 30-minute evening spot on WBZ-AM, which was later expanded to include mid-days where he hosted Boston Movie Time on WBZ-TV4 in the late afternoon. The station would often stage shots of him in precarious positions (i.e., hanging from a tree limb) before commercial breaks. In 1961, Alan returned to WORL, and in 1963 to WHDH radio. It was at WHDH that he created the Mailbag Show on Sunday mornings where all the music was chosen from listener letters that he would read on the air. In an often lost time slot, he garnered tremendous ratings and was beloved for his knowledge of the music of the Big Band Era. As the “Music of Your Life” format took off at WXKS-AM, he returned to Boston to do mid-days and the Mailbag Show on Sundays, with which once again he had great success. In 1986, he returned to New Hampshire radio, where he finished his career doing a nostalgia format at WKBR (which at the time was managed by another Alan Dary, his son). He retired in 1988. In his heyday, Alan spent much time in New York and also Hollywood, interviewing some of the great names of that era.